SOFIA (Bulgaria), January 24 (SeeNews) - Nearly 15 years ago, in April 2004, the first SeeNews article – an exciting piece of information about a Romanian bottling company launching a new nectar drink – hit the wire. The Romanian company never managed to make a name for itself and was soon taken over by a global giant. The SeeNews story, though, took a better turn. 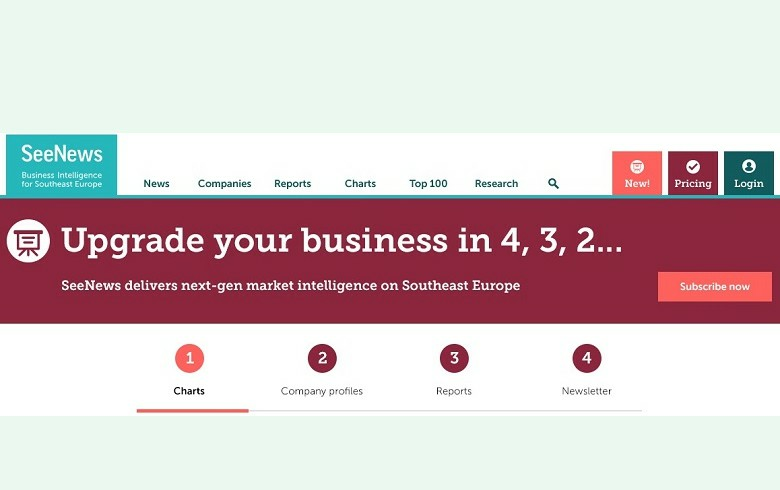 What began with a modest team reporting on hot business news from nine countries in Southeast Europe has grown into a globally recognised business intelligence provider whose portfolio spans from market-moving news and exclusive interviews to research on demand services. We have augmented our news content with a vast database of corporate financials and macroeconomic data to give you the context you need to understand better this complex region and to make informed business decision faster. As our coverage expanded and our archive of unique business information swelled, we continued to look for ways to distill for you the information you seek, and serve it to you neatly and promptly, with all the important facts you did not suspect you needed on the side. With this aim in sight, in early February, SeeNews will launch its new website, allowing you to navigate intuitively through our extensive content, offering more ways to customise your experience, including through tailor-made newsletters and specialised on-demand report, and adding an array of charts to visualise hard-to-digest data and make easy comparisons between industries and markets. In the weeks to follow, we will be gradually raising the curtain and revealing more details.